Getting source code from bitbucket. Obviously, Ogre needs a lot of things. complete tuto. This step will take several minutes. 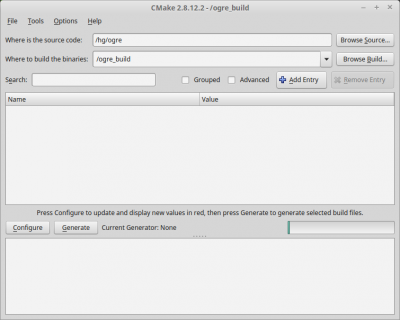 I recommend using CMake with UI. Create a build folder somewhere. 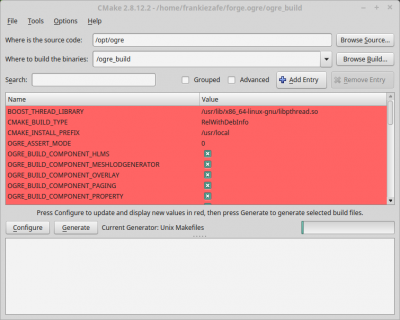 The build folder should now contains a Makefile at the root. The make process is long. 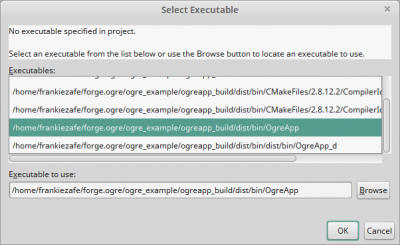 Create a ogre_example folder. I'm working in a folder named forge.ogre. Create 2 subfolders, one for source, the other to build. 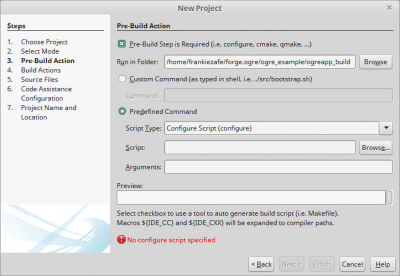 Using make install is crucial to copy configurations to the build folder. 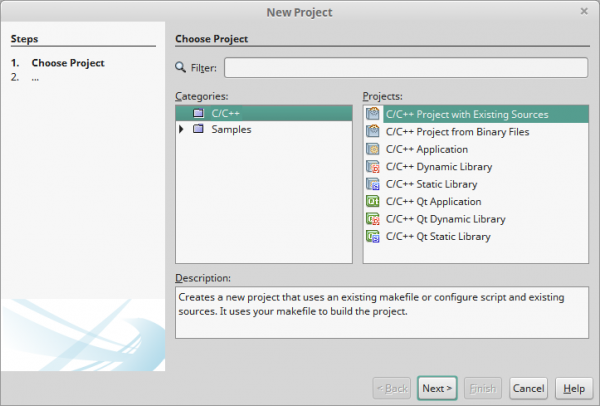 Go to netbeans.org and download the latest C++ version for your architecture. 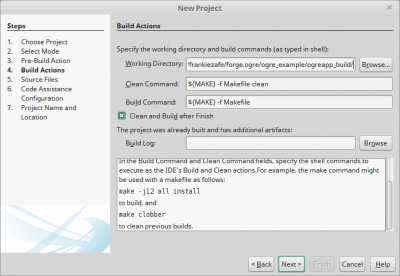 Once done, launch it and verify that the CMake tool is accessible. Tools > Options > C/C++ > Build tools. 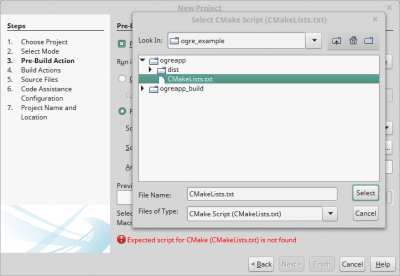 If the CMake Command is empty, locate the executable on your drive, usually at /usr/bin/cmake. Apply and close the Options panel. 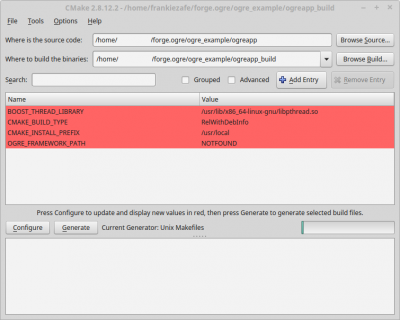 Before importing, verify that you have called make install in the build folder. 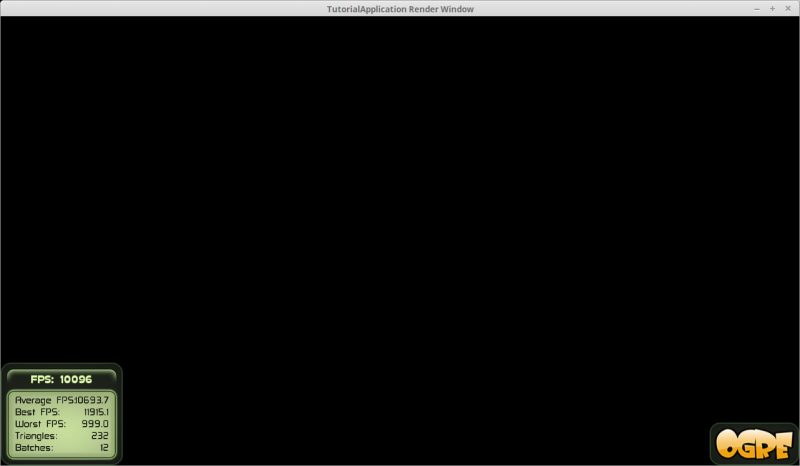 The application will crash if the dist folder is only containing the runnable. 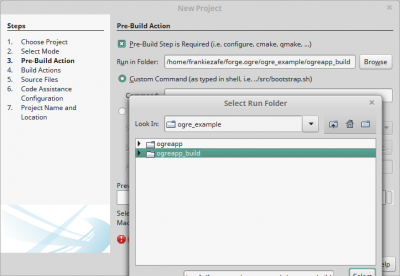 Select the root folder of the project (the one containing the source folder and the build folder), choose Custom configuration mode and press Next. 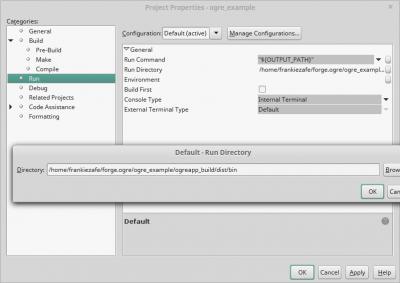 Set the Working directory to ogreapp_build and press Next until the Finish button shows up. Press it also. 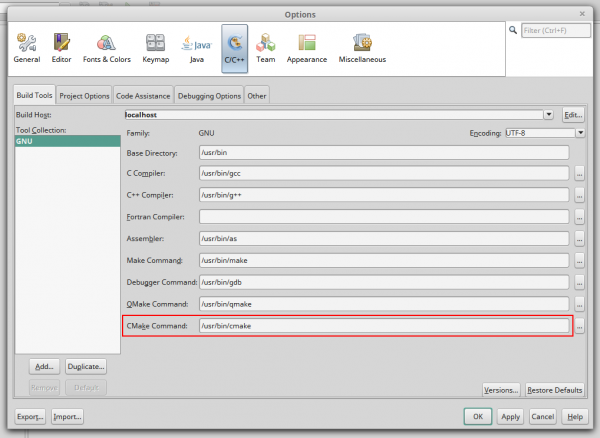 Once the configuration panel closed, netbeans will start to compile the project. It will be quick. 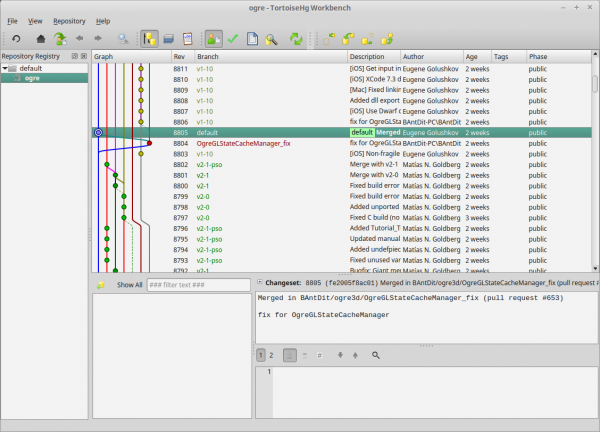 If the compilation is successful, launch the application by pressing on the green arrow in the top toolbar. A confirmation panel pops-up, the path to the executable should be OgreApp.